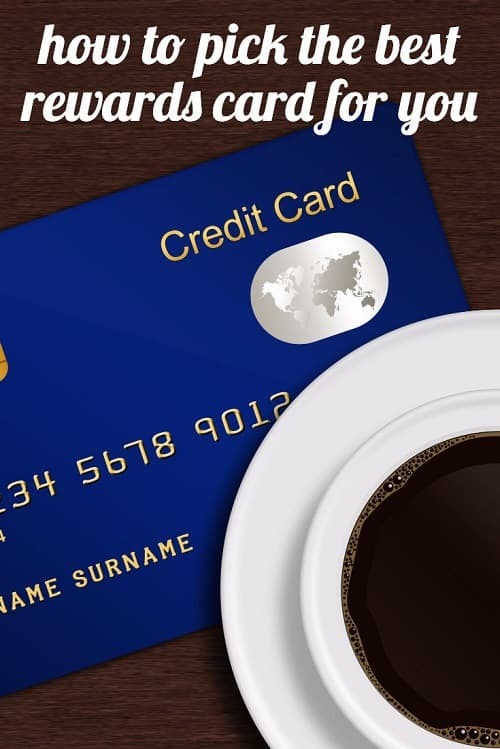 A few helpful guides on how to pick the best rewards card for you are from NerdWallet, The New York Times , and CNBC. The Motley Fool has put together a list of the best cards of 2017. So, do tell — what are your credit card habits? Which rewards credit cards are your favorite — and how did you pick the best rewards card for you? 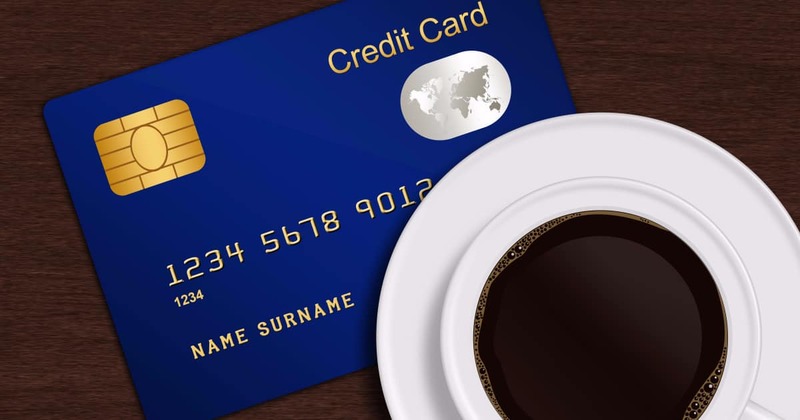 Are you a big credit card user? Do you pay off the entire amount each month, or do you carry a balance? What are your favorite cards, and why? How many cards do you have in general? Do you use a rewards card? What do you earn with it? Do you ever apply for new card offers for balance transfers? Do you look for cards with 0% APR on introductory purchases? Are you paying off credit card debt now, or have you had to deal with significant credit card debt before? If so, how did you do it? Has your card ever been compromised? How much did the person end up buying with your card? Were you liable for anything? Curious for more personal finance advice from our Tales from the Wallet feature? Check out some of our top posts like our money roadmap (what you should do and when you should do it), how to pay off big student loans, and our tips on financially preparing for baby. Here are links to some of the credit cards people are shouting out, if everyone’s answers are making you want to do more research! Social media stock photo illustration credit: Shutterstock / Aleksandra Gigowska. Love my Citi Double Cash card. I use it everywhere except N-storm, where I use my N-storm debit. The Citi card gets 2% back on everything, so no keeping track of categories. And rewards redemption is as easy as transferring accumulated rewards to my statement for credit. My favorite card is my Citi Double Cash Card. I let the rewards build up and apply it as a statement credit once a year. I use it for everything except Costco (doesn’t take MasterCard), Amazon (Amazon store card has 5% cash back), Target (ditto), Nordstrom (love the N-notes! ), and foreign transactions (because of the fee). But I must admit I finally broke down and got a Chase Sapphire Reserve that has 3% on travel and dining. We spend a lot in those categories plus I like the perks like airline lounges and the $300 travel credit. Plus no foreign transaction fee. Back in the day (like, 15 or more years ago) my former husband and I had a lot of debt and we did a lot of transfers to 0% interest cards, which really helped in knocking it out. We used the snowball method and it took about three years to knock out a six-figure debt. My credit card has been compromised a couple of times, and always at the worst possible time: Once when I was fixing to leave my marriage, and once when I was about to GET married. Ugh. Such a pain, but I wasn’t liable for any fraudulent charges. The worst part was changing all the automatic payments that went on the card. Love my Citi Double Cash card. I use it everywhere except N-storm, where I use my N-storm debit. The Citi card gets 2% back on everything, so no keeping track of categories. And rewards redemption is as easy as transferring accumulated rewards to my statement for credit. No annual fees or minimum spending either. Sorry for the double post. Will add we even pay rent on it because the 2% rewards is higher than the 1.5% convenience fee my apt building charges for paying by credit and not checking. You must be the only one that uses this card. I think Chase has better ads on TV — so I use Chase’s card. My oldest card is a Citi card so I’m a little hesitant to close it. I don’t use the rewards points that it offers and keep meaning to convert it to a cash back card. –I put all expenses possible on a CapitalOne Quicksilver card. 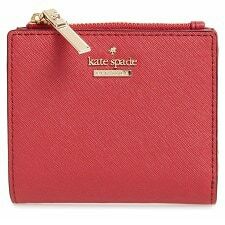 1.5% cash back, great fraud protection and customer service, no worrying about what is eligible for rewards each month. I pay it off every month, I’ve never paid a cent of interest after getting out of debt 5 years ago. –We recently got an Amazon Prime Store card for 5% account credit rewards, as we use Amazon Prime quite a bit. –My husband has his own card primarily for purchasing gifts for me and building his own credit, but doesn’t carry a balance on. –I did this pretty successfully when getting out of debt, but you’ve got to make a budget and schedule of payments and stick to it. I combined these with the Snowball method, where I paid the highest interest card first and minimum payments on the others. Then pushed that amount to the next highest interest card when I got the first one paid off, and so on. Often the balance transfers require a 3% fee, but that can be much less than the amount of interest you’d pay otherwise. I enjoy the travel miles and points game (though I’m a comparatively slow/minor player). I have a Chase Sapphire Reserve and an Alaska Airlines card. My fiance and I are planning our honeymoon, so we’ll do a stock of our cards then to figure out what other cards we should use to cover flights and hotel. I always pay off my balance every month. We paid for our wedding with credit cards and earned enough points to pay for our entire honeymoon at a fancy resort hotel and the flights. And that was you and Jim, right? CC debt is killing me. I relied on credit during months of unemployment/underemployment. Hopefully my salary will continue to grow but in the meantime it’s really tough. Put everything possible on the card for convenience, protection, and rewards. Converted to a Citi AAdvantage card earlier this year since we fly enough (and nearly always on American in this post-merger world) to really use the miles and perks. – I put most of my non-rent/utility purchases on a credit card, and I pay off the entire amount each month. – I have 4 cards, 3 are rewards cards and 1 is a store card. Two Visa cards (one rewards and one for flight miles), one MasterCard, and one Target credit card. I got the Target credit card because it’s 5% cashback and I go to Target every couple of weeks at least, so it’s worth it. The bank mastercard only has 1.5% cashback, but I mostly use it as a backup in case my Visa cards ever get declined. – One of my Visa CC’s was compromised before, but the customer service was great – they immediately texted/called/emailed me to report suspicious activity and sent me a new one within a few days. The suspect person charged about $90, but I wasn’t liable for anything. I have a lot of credit cards, but unfortuantely, none of them have very good reward or cash back perks. I have used 0% APR cards for balance transfers to get out of CC debt. I also used the snowball method and it has been effective for me. Has anyone here ever used CC to pay for grad school (as in pay the school with CC, use loan money or personal savings to pay CC bill)? No, but I looked into it. The school charges a 2% fee for paying with CC instead of bank transfer. My SO is a commercial lender so he gets into the nitty gritty of people’s finances, and he told me a story the other night that made my jaw drop. This woman put her son’s entire college education on credit cards. $45,000 in debt. On credit cards! Because she “didn’t want him to take out student loans.” Except…she has no plan to pay it off. And now she wants a business loan. Hahahahahaha nope. I wish I could charge my children’s college education. We have the cash so would pay it off immediately, but the rewards would be worth it. Unfortunately, the schools they go to have a few for using cards that would negate more than 1/2 the rewards, and paying the fee would annoy me. I am using credit cards to pay tuition but I’m going to grad school part-time. Our school lets us pay in the office and waives the transaction fee but there is a limited window of time when they allow this before each payment is due. Definitely worth it for the points though! I use BarclayCard Arrival Plus for almost everything because I get 2.2% back when applied to travel (and they have a very broad definition of what constitutes “travel,” including airfare, train, and hotel expenses). However, I use my Amazon Visa for Amazon purchases since we get 5% back. Never have carried a balance, but also realize that I’m very lucky that I have never been unexpectedly unemployed. We recently had our Barclay card closed because we didn’t have a balance and apparently hadn’t used it in a while. No notice and no appeal. It was one of our oldest cards, so it was a little disappointing they closed it with no communication. I’m a huge credit card user. It’s not something that I’m proud of though. My favorite one is from New York and Company because I use it the most. Because I use it the most, I get points and eventually reward certificates. And it’s never been compromised as far as I know. I have an Amex Blue Cash Preferred. I wanted good cash back rewards because I don’t travel enough to make anything else worthwhile. There is a $75 annual fee, but I earned that in cash back within the first two months (in the first month the first year as you get a $150 statement credit for spending $1k). I get 6% on groceries, 3% on gas, 1% on everything else. I also get statement credits for tying it to my EZpass, cell phone bill, and something else that I can’t remember. Free 2-day ShopRunner too. They will express you a card if it gets lost/stolen and they take care of switching over all of your auto-debits from the old card (lifesaver). Plus, they always have other merchant-specific rewards that you can sign up for for cash back. And of course the Amex concierge services. I don’t have the max coverage there, but I do have some at the Blue card level. For me, it’s a great card. I really don’t have much trouble with merchants not taking Amex because of their small business initiatve. Oh FFS, my Amex post is in moderation. I use my Costco card for gas (4x points), travel and dining (3x points), and Costco (2x points), and my Ally card for everything else (2x points for groceries and 1x points on everything else, and an extra .1% when you redeem the points into an Ally account). I might consider getting rid of the Ally card though and getting a Citi double cash card. The downside of the Costco card is that the points can only be redeemed once a year and only for Costco credit or cash-in-hand, but, eh, I’m willing to deal with that in exchange for the highest no-fee points I can find. Amex Platinum (technically a charge card). Yeah, the annual fee is high, but you get a 200 airline credit and now also up to 200 on Uber, which I can’t see how I won’t use all of. Also free Global Entry/TSA Pre, gold status with both SPG and Hilton, and access to Amex lounges. I get between 1-5 points per dollar, and there are a lot of credits for spending at certain places. I put all business expenses and all personal expenses on this card, except for about $200-300 a month that goes on a Visa for places that don’t take Amex. I have a lot of credit card debt. It isn’t a burden in the sense that I keep my utilization rates reasonable and I have tons of available credit. I pay more than the minimums without issue etc. But it is a psychological burden. Thus, I recently started tracking my credit very carefully. While I have excellent credit, my debt load is nevertheless to high. The debt isn’t really growing but it weighs on me mentally. I am now earnestly working to truly pay it off. My plan is to use 0% balance transfer offers with no cost (or low cost) and then focus on paying down the amounts transferred. I am very careful with the utilization rate so I don’t use more than 30% or so of available credit per card. I almost never use cash. I put everything on credit cards and pay them off at the end of the month. I use Chase Sapphire Reserve for travel and restaurants, Chase Freedom for whatever the rotating 5% category is that quarter, and the Amazon card for 5% back at Amazon. I like the perks of the Chase Sapphire Reserve as well as the extra points for travel and restaurants (my largest areas of expenditure). I have a couple other cards without annual fees that I keep in my dresser drawer at home. I don’t use them but I keep them open for credit score purposes. I also have a card that I use only for recurring bill payments. I leave it at home in my drawer so I don’t have to worry about the credit card number getting stolen when I’m using it for some one-off purchase. I’ve done 0% balance transfers twice in my life — each time when I had some debt that I knew I could pay off within the timeframe. I’ve had cards compromised multiple times but have never had to pay for anything. I check my accounts pretty frequently so I tend to spot weird charges quickly. And I make sure all of my recurring payments are on the one card that I never use for anything else, so I don’t have to deal with that hassle. I recently started shopping through ebates since I buy most of my stuff online. If you go to store website through ebates, you get extra cash back. Those rewards really add up as they have triple points days and 5x points days too.